Two audiobooks in one! 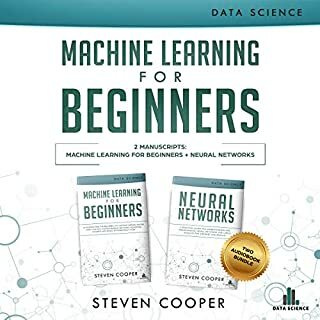 These audiobooks provide proven concepts and strategies for people who want to know more about machine learning and neural networks. After listening to this bundle, you will be able to choose the right kind of architecture, how to build a system that can learn, how to train it, and then how to use it to accomplish your goals. Python Programming Illustrated for Beginners & Intermediates: The Future Is Here! Whether you are at a beginner or intermediate level, this book is crafted just for you. Learn Python fundamentals. This is your beginner's step-by-step guide to one of the most essential, renowned, and practical programming languages in the 21st century. Python is a general purpose program used by many start-ups. Its design emphasizes code readability. This audiobook will help ease your fears and even show you how to code your first Python program. Discover how to master the state-of-the-art deep-learning algorithms and their implementation in this two-audiobook bundle. Learn the Basics of Python in 7 Days! This audiobook is the first in a series of three audiobooks meant to help you learn Python programming, from beginner to intermediate and then advanced level. 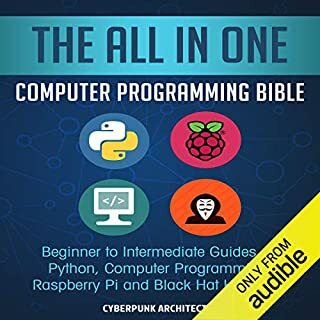 As such, this audiobook will handle everything you need to build a strong understanding of the basics of Python programming language. Six powerful and informative audiobooks in one bundle! I wrote this audiobook set with one goal in mind - helping you, the listener, to progress - and I’ve worked hard on this in order to assure that is exactly what happens. Get this audiobook today and learn the most sought after programming languages - Python and SQL! Python is on the rise in the world of coding and many popular technological devices from the Raspberry Pi to the Linux operating system use Python as a crux for not just education, but implementation. Python can help you code your own software, develop your own games, and even format your own home surveillance system! It is, hands down, one of the most useful coding languages around, and the way it is formatted cuts out a great deal of the fluff that other coding languages have a tendency to be bogged down with. Machine learning (ML) is changing virtually every aspect of our lives. Today ML algorithms accomplish tasks that until recently only expert humans could perform. As it relates to finance, this is the most exciting time to adopt a disruptive technology that will transform how everyone invests for generations. The book addresses real-life problems faced by practitioners on a daily basis and explains scientifically sound solutions using math, supported by code and examples. Beware - not suited to audio-book format. 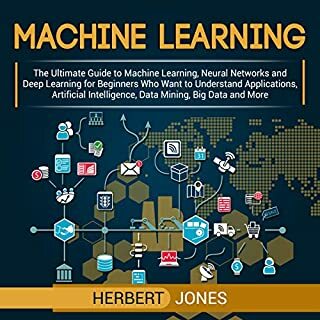 This book on machine learning will explain the concepts, methods, and history behind machine learning. Learn what it is, its importance, history, and much more. A best and easy way to learn. If your are new to computer programming or want to brush up, then this ultimate guide that combines aspects of machine learning and python programming for beginners and intermediates is for you! You get so much value in one bundle-packed book! Make the greatest investment in yourself by investing in your knowledge. Download to get started now! Not good as audio book. I would not recommend if you are looking for an audio only book. You will need to reference the PDF in most of the chapters. An Excellent addition to my digital liberary. 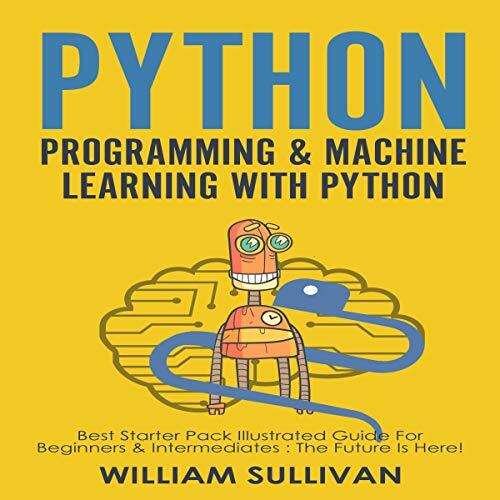 This is an excellent book, full of examples and very well structured for anyone who wants to learn and master the Python programming language and Machine Language. Be a programmer, try this book. Do you love Python Programming / Machine Learning? I highly recommend this book to anyone who really wants to understand the "how’s" and "whys" of programming using Python. As the authors state, the book won't teach one to program in one day- or in several days... But it will give you a solid foundation in programming with Python so that you will feel confident and will know what you are doing and why you are doing it. 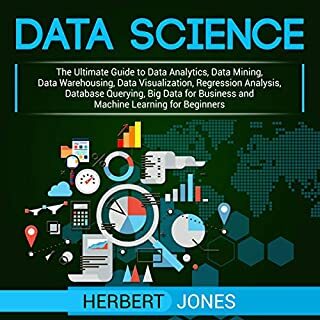 A highly recommended for ML lovers. This book is a refreshing departure from the extremely topical approach taken by some other books. It goes beyond memorizing and regurgitating and, instead, focuses on comprehension- therefore enabling the reader to truly understand what he/ she is doing. The book is full of information and is extremely user- friendly and easy to learn. This book has a class course structure. If you or others near you, someone that knows nothing about programming language or Machine Learning and want to know where to start ....This is the point, start here. This book has a class course structure with quizzes at the end of each chapter. To Test what you’ve learned right off to work your comprehension. I've been trying to take a more systematic approach to learning programming instead of searching for every solution on Stack Exchange and trying to get them to fit what I want to do. This book has been great! Hi Listeners, This book speaks about growth Python Programming. This is a great informative book, It will defiantly helpful for all the peoples. The author has presented such a useful book for me, Personally, i was looking for this book for so long. Thanks to my friend who give this book. Really felt good to listen to it. 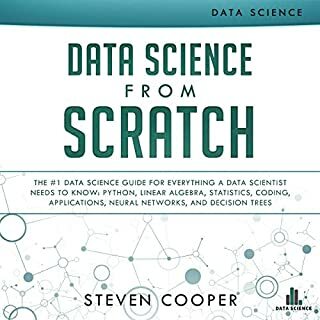 I have found out a lot about python machine learning with the help of this book. This guide is very instructive. There are lots of tips and tricks that are very helpful. Great book! 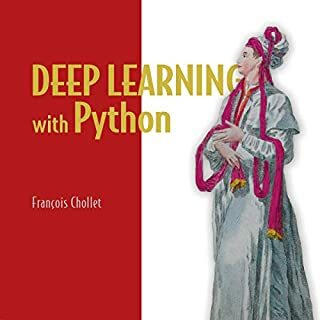 If you are beginner in machine learning with python then get this book. This book will teach you decibel that. Appreciating stuff. By doing or making this type of audio book author bring a revolutionary thinking point in audio book in programming system. I am just amazed how narrator describe this precisely. Book is great, so listen to the book and enjoy the easy tips, if you are looking to do to the next level without becoming a complete expert, this book may be for you.